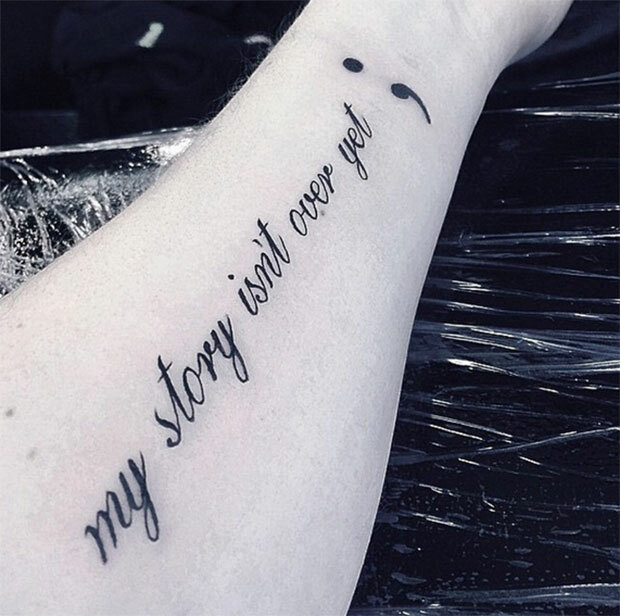 Semicolon tattoos are not the next hipster trend nor are they a grammatical correctness movement. There is actually much more meaning behind this open-ended punctuation mark that is being shared all across social media. 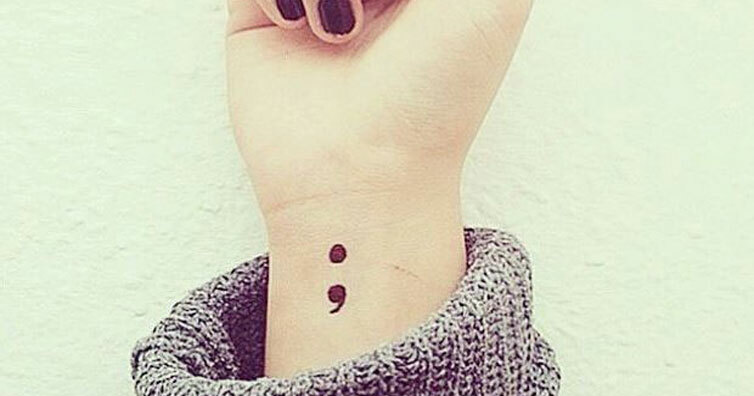 People are either tattooing the semicolon on them or they are drawing it with a pen as a message of hope. A sign that the story has not ended – as well as to fight the stigmas of mental illness. 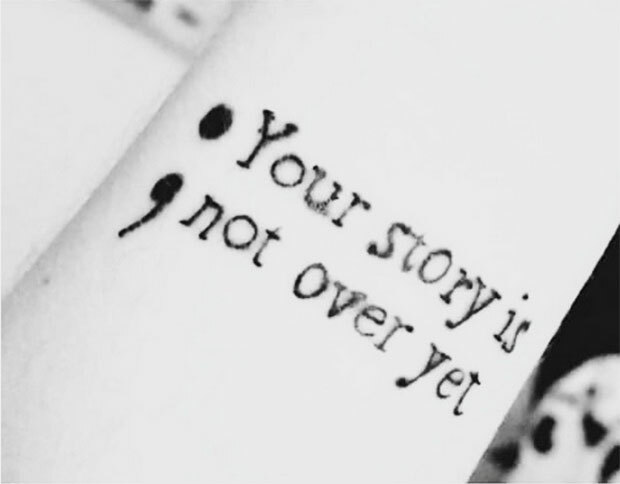 This trend was started by Project Semicolon, a movement that is dedicated to present hope and love to those who are going through times of depression, suicide, addiction and even self-injury. Even you can get involved. 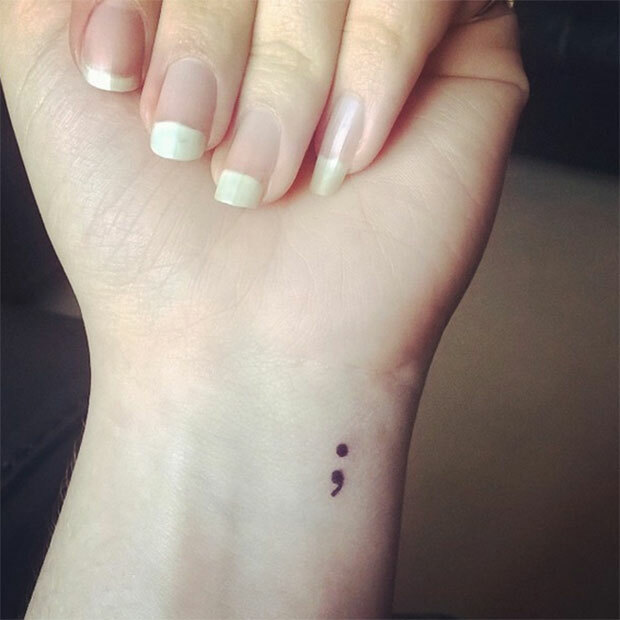 ‘The semicolon project is for everyone who self-harms, is suicidal, depressed, has anxiety, is unhappy, going through a broken heart, or just lost a loved one. 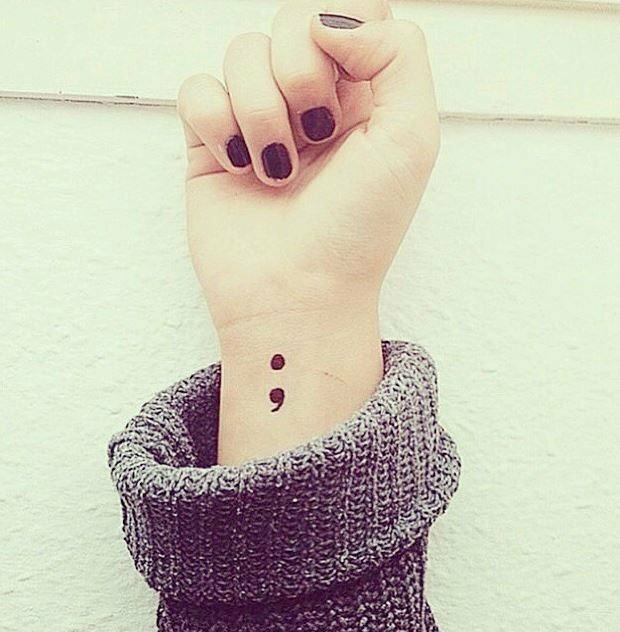 Draw a semicolon on your wrist,’ the site says. 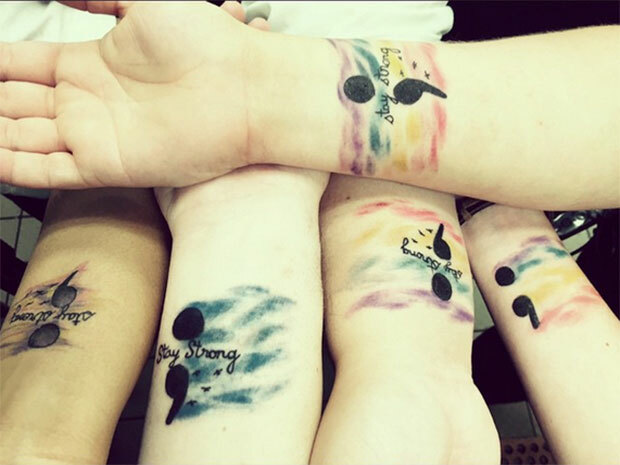 Co-founder Amy Bleuel told te HuffPost that she did this in honor of her father who committed suicide. ‘I set out to inspire others so they can know they are not alone, that their story matters,’ she said. Now she is inspiring people to do the same. 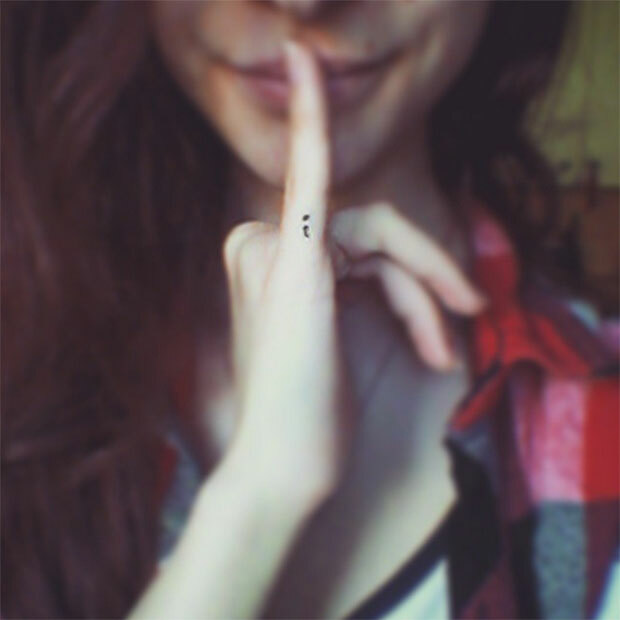 “A semicolon represents a sentence the author could have ended but chose not to. That author is you and the sentence is your life.” I got a semicolon tattooed on the side of my wrist today. 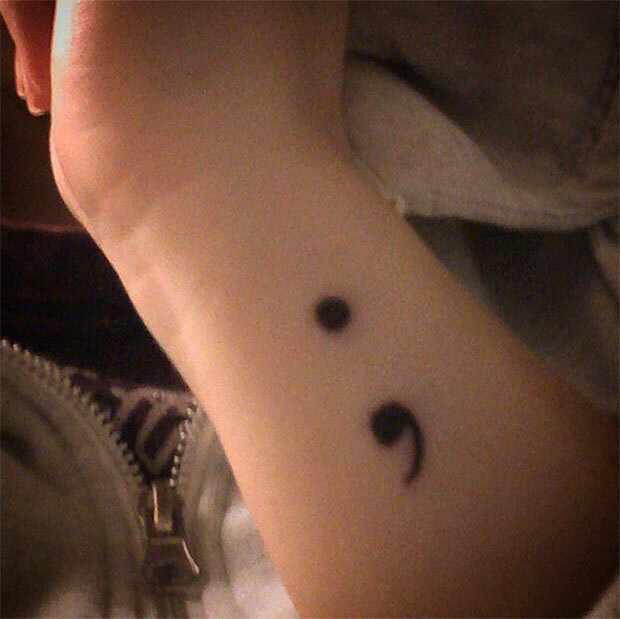 My main reason for this semicolon is my mum. Anxiety, depression, mental illness, any of those horrible things are not pleasant and I wish them on no one.